Did you know that U.S. homeowners pay an average of $7,269 for a new roof installation? But in Texas, the average goes up to $7,487! And while you can get a new roof for as low as $1,200 in some other parts of the country, you can face as much as a $30,000-bill for a high-end job! That’s a lot of money and an expense that you can avoid by taking care of your existing roof construction in the first place. Proper roof maintenance, combined with proactiveness in learning about the signs telling you your need roof repairs, allows your roof to keep performing at its peak – and for a longer time at that. 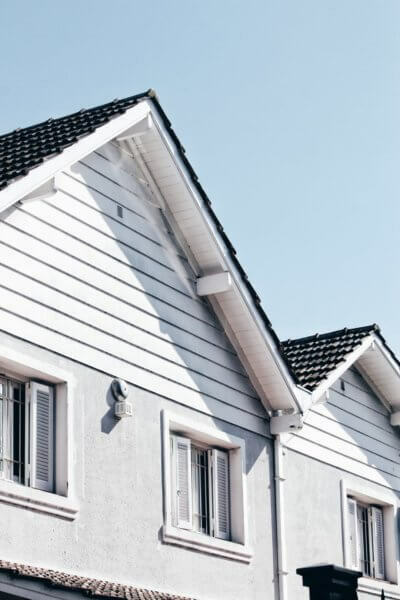 How old your roof is can clearly point out its needs for repairs. There are different types of roofs, and each has its own intended or recommended service life. Remember: Roofs are just like humans. The older the roof construction is, the greater risk it has of developing health and structural integrity problems. So, take the time to remember when you had your roof installed. 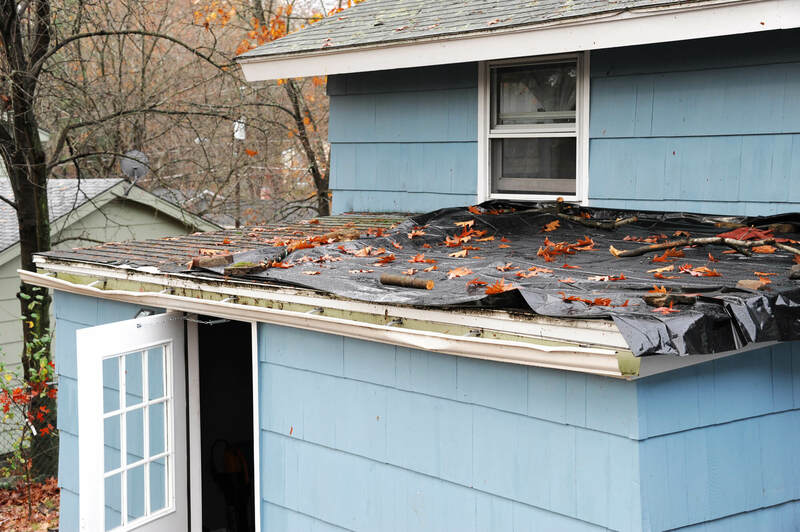 If it’s nearing the above-mentioned age, call a licensed and insured roof repair service right away. Even if it doesn’t have any immediately visible problems, it’s still possible that the interior construction is already failing and need repairs. 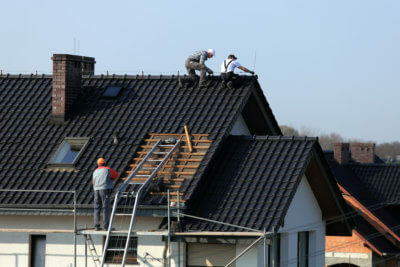 Recent weather conditions are another indication you need roof repairs. Fluctuations in temperatures and storms are two of your roof’s biggest enemies. Regardless of how old (or new) your roof is, Mother Nature’s temperamental moods can largely affect the health and structural integrity of your roof. This is especially true in Texas, which heavy rains and storms constantly batter. 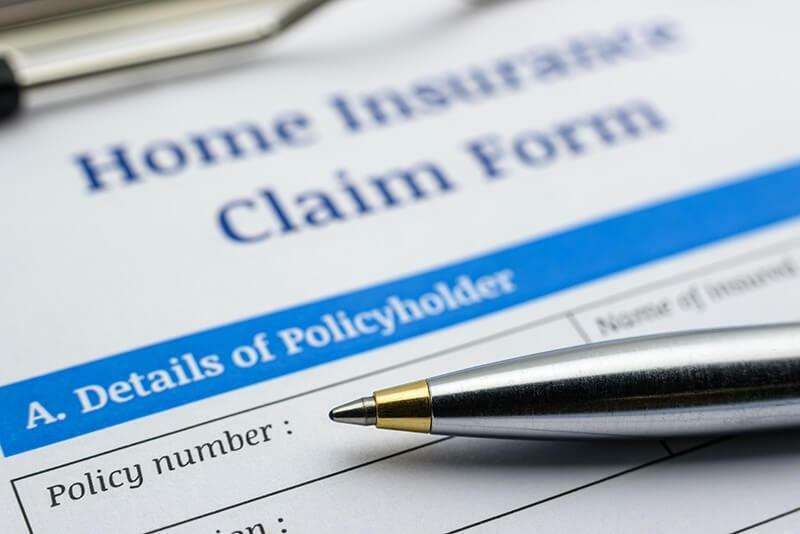 The recent storm could’ve already blown off some of your roof’s shingles. The strong winds may also have caused debris to fly and drop down on your roof, causing dents, cracks, and other damage to it. You don’t want to put off calling a roof construction expert, because another storm may already be brewing. The more storms you allow to pass, the bigger those damage, especially leaks, can become. This is an obvious sign of a roof in disrepair. Depending on the number and size of the leaky spots, you may either need simple repairs, a reroofing job, or a new installation. In any case, it’s a problem you want addressed ASAP because it can cause not just further structural damage, but dampness- and humidity-related health issues too. Valleys are pretty, but not when they’re on your roof. And while valleys on the roof are normal wear and tear signs, this doesn’t mean you should just let them be. Left unaddressed, they can weaken the underlying structure of the roof construction, paving the way for even more problems to develop. When valleys form, the water the roof catches moves towards the pull of gravity. It then pools up on the lowest spot, where it can seep deep into the roof. The more this water seepage and absorption happens, the weaker the roof gets, to the point that the inner workings of the roof have already rotted and decayed. This is a threat to you, your family, and your property because valleys can cause the roof to collapse! So, don’t wait until it’s too late to have your roof repaired when you’ve seen these valley formations. Curling or blistering wall paint? Water stains on the ceiling or walls? These are all signs that your roof is already allowing water to penetrate through leaks. Determining where the leaks are can be difficult for the average homeowner. Unless you have the same tools and equipment that professional roofing contractors use. This said, it’s best you leave the task of pinpointing where the leaks are – and promptly fixing them – to the experts. 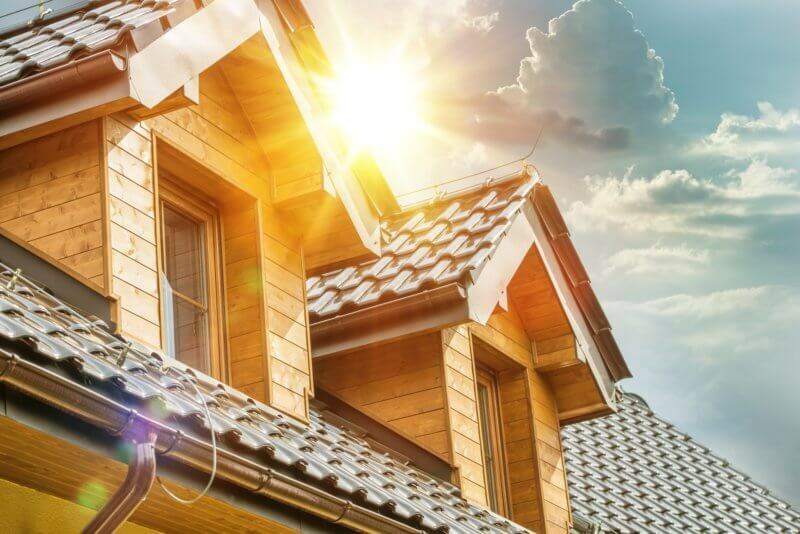 If you have a shingled roof and you’ve noticed buckling or curling in its shingles, this should prompt you to contact a roof construction specialist. Buckled or curled shingles allow water to penetrate the inner roof structure, causing even more damage than there already is. Over time, water can make its way into the ceiling, showing up as the above-mentioned staining or blistering/curling interior wall paint. In any case, you should have your shingled roof assessed by a professional, to determine the extent of the buckling or curling. The earlier you do, the greater your chances of just needing repairs (a patch job) than an entire re-roofing or even a new installation. Missing shingles appear like bald spots on a shingle roof. This is a clear sign telling you to contact a roofing repair specialist right away because it already means that the first protective layer (the shingles) are gone. And when this happens, it leaves the adhesive component of the roof fully exposed to water. The condition of your chimney flashings can also tell you whether you need repairs or a replacement. Chimney flashings protect the area of your home from where the roof and the chimney join up. It safeguards you against water, debris, and anything else that can cause damage to the roof and the chimney. When the flashings loosen, detach, or unseal, you can expect water to get into your home. So, as soon as you notice any type of damage on this part of the roof, don’t delay calling in a roof repair service. The earlier you detect these signs of roof construction problems, the sooner you can have them repaired. And early diagnosis and fixes can save you from more expensive solutions, such as re-roofing or getting a new roof. Our team can help in the prompt repairs of your faulty roof. Contact us now to address all these signs of roof problems as soon as possible. I love that your article goes over how important shingles are. After all, if your shingles are cracked, buckling, that is a major problem. After all, they are responsible for keeping water off of your roof, so you’ll want them fixed quickly. 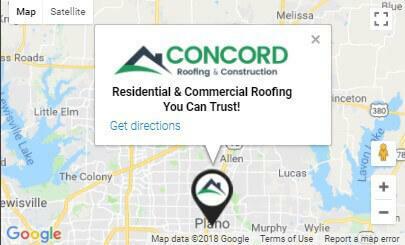 Duncan, At Concord Roofing & Construction, we go out of our way to deliver fast service following a storm. Choosing the proper shingle is paramount to ensure that the client get’s the best roof possible within their budget. This is really a wonderful article on roof construction needs work. Thanks for sharing such a great post with us. Awesome that a slate roof ca. last up to 80 years! we’re due for a new roof after 22 years with our shingled roof, and we’ve been researching different materials for roofing. After reading this, I’ll be looking more into slate….thanks for the tip!